When I tell people that I am a Muslim, the first thing that usually happens is a look of surprise. Since I am of Indian decent and do not wear a hijab, people usually assume that I am a Hindu. That is definitely not the case. I am an Ismaili Muslim, and usually most people find that out relatively quickly. I like being open about my religion. After all, it is part of who I am. At Quinnipiac University, I have found a group of friends in the Muslim Student Association (MSA). I am their Public Relations Coordinator, so I design some of their posters, help arrange events, and speak about the organization’s work. I am not particularly religious, so I surprised myself when I joined the organization. It was even more surprising when I become a member of E-Board, the student programming board at Quinnipiac. But that is the thing about college: your decisions will surprise you. As a club, we have learned about each other’s branches in Islam and it is extremely interesting. We educate people about Islam and celebrate the different cultural backgrounds that Muslims come from. We also welcome all students, regardless of faith. The Muslim population at Quinnipiac is small. However, I do think we have a larger Muslim population than we think. It seems like a lot of people are scared to have that “Muslim” label on them. And honestly, I don’t blame them. I believe Islamophobia has only gotten worse over the years. Hate crimes against Muslims have increased; there were 154 incidents in 2014 and 257 in 2015, according to the Hate Crime Statistics report. That’s a 67% increase in the span of one year. I get worried about my friends who are visibly Muslim sometimes. Even though I do not look like the “typical” Muslim woman, I am constantly told by others to maintain a low profile. However, I think it is crucial that we stand up and be unapologetically Muslim. We cannot get used to being misunderstood. There is a famous quote by L.R. 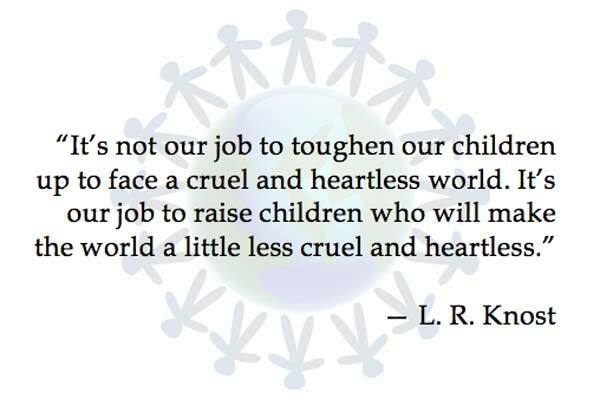 Knost and it is quite fitting: “It’s not our job to toughen our children up to face a cruel and heartless world. It’s our job to raise children who will make the world a little less cruel and heartless.” Although we should not have to constantly defend our faith, it is critical that people understand that Islam is about peace. And that anyone who kills others, for reasons other than self-defense, is not a Muslim. Thankfully, many people have been understanding about my faith at college. We have received support from the University and other religious groups who ask how they can better address our needs. This support has definitely made campus into a generally welcoming environment. However, others have not been as understanding. I remember one time when the MSA arranged a free ice cream social, someone commented anonymously on Yik Yak with “ISIS”; another person wrote, “Will there be any explosives?”; and another commented, “No christians allowed tho.” And I cannot begin to describe the amount of times I have heard terrorist jokes. It is upsetting, but I have gotten used it…which is sad. Really sad. The MSA tried to do something positive and a few of our peers were immature and turned it into something terrible. It was disappointing to realize that some of the people I go to class with think the worst of my faith. But in order to change this misrepresentation of Muslims, education is key. By hosting events and raising awareness through the MSA, we hope to do just that. I hope more people—on and off college campuses—will continue to educate themselves on other people’s differences; I know that I will. I was born and raised in Albany, New York. I enjoy writing and reading, which is why a major in Strategic Communication both challenges and excites me. In my spare time, I love to write fictional stories and journalistic accounts. I also have a weakness for chocolate.